Owain was born Owain ap Gruffydd around 1100 AD, the second son of Gruffydd ap Cynan. Owain ruled from 1137 to 1170 AD. His rule was marked by peace initially, at least with England, as Owain took advantage of the strife in England between Stephen and Maud for the English throne to consolidate his power in Wales. That conflict lasted for 19 years (http://www.britainexpress.com/wales/history/owain-gwynedd.htm), finally resolving in the rule by Stephen but with the inheritance of the throne upon his death by Maud’s son, Henry. His first relationship was with a woman named Pyfog, of Ireland, by whom he had two sons: Rhun and Hywel. Rhun, a most favored son, died in 1147. Owain did have to deal with his younger brother, Cadwaladr. As with Llywelyn ap Gruffydd in the 13th century, Owain, as the second son, was a charismatic and strong ruler (and, apparently, fair). His younger brother, Cadwaladr, had somewhat less honor and although the two split Gwynedd between them upon their father’s death, in 1143 Cadwaladr was implicated in the murder of Anarawd ap Gruffydd of Deheubarth. 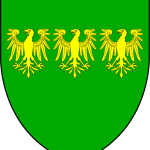 Owain responded by sending his son, Hywel, to strip him of his lands in the north of Ceredigion and banished Cadwaladr to Ireland. In response, Cadwaladr returned to Wales at the head of an army of mercenaries (this is the subject of Ellis Peter’s 20th Cadfael chronicle, The Summer of the Danes and my work in progress The Good Knight), to the extreme displeasure of his brother. Cadwaladr was driven into permanent exile in 1155 AD. Back to King Henry. He gained power in 1154, ruling as Henry II. In 1157, he attacked Wales. His goal, as was generally the case for the English kings, was to force Owain to give up some of the lands he had gained at English expense, particularly in Powys, and to force Wales into the status of ‘dependent’ state, instead of ‘client’ state—an important difference in the eyes of both the Welsh and the English. Henry II was, for the most part, not successful. Other than an initial stalemate, Owain continued to rule Wales as he saw fit, and left a consolidated country for his heirs when he died in 1170. 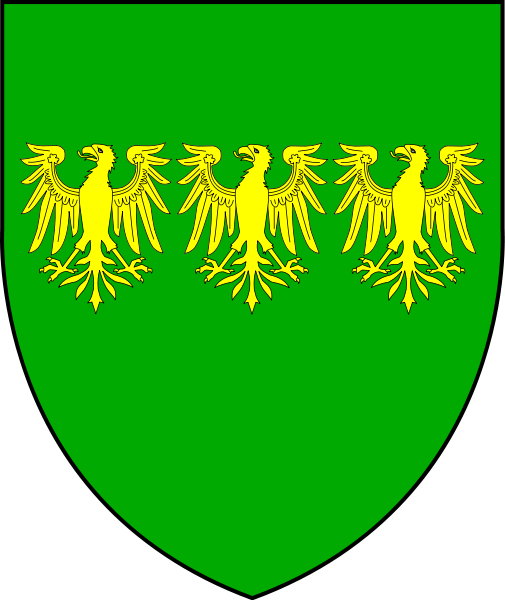 Gwynedd was split among Owain’s many sons, which didn’t go too well (spoilers! ).